Shafi is a Consultant laparoscopic colorectal surgeon at The Royal London and St Bartholomew’s Hospitals. As a dedicated trainer, educator, and Associate Dean of Bart’s Medical School, he was awarded the Silver Scalpel award in 2015 as the best national trainer in surgery by the Association of Surgeons in Training. He is currently serving as an elected member of council of the Royal College of Surgeons of England. 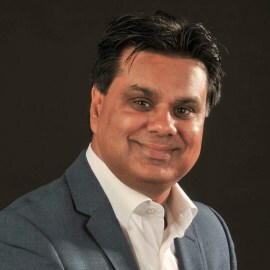 His passion for merging the world of medicine, global education, and virtual reality was the driver behind founding two companies: Virtual Medics which is a class-leading e-learning platform using wearables to facilitate medical education, and Medical Realities who are developing an exciting Virtual Reality platform for surgical training called the Virtual Surgeon.